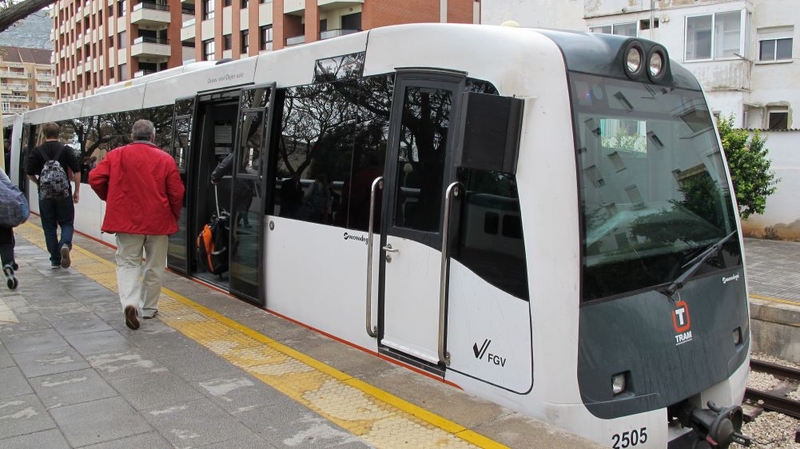 UNFORTUNATELY THE LINE IS CLOSED BETWEEN DENIA AND CALPE FOR SAFETY REASONS. POSSIBLE RE-OPENING IN 2018. WE'LL KEEP YOU POSTED! A lovely way to explore the countryside is by train. One of the most popular rides is from Benidorm to Denia as the little train weaves its way along the coast and through the mountains. The Alicante region has many mountains so the train is pretty high up. This means great views and plenty of photo opportunities. Look out for grazing sheep and goats, birds of prey, vines, olive and orange trees. The journey takes just over an hour to go the 51 kilometres from Benidorm to Denia and costs just €6.40 for a return ticket. You can always hop on and off to explore some of the other great Costa Blanca resorts along the way. 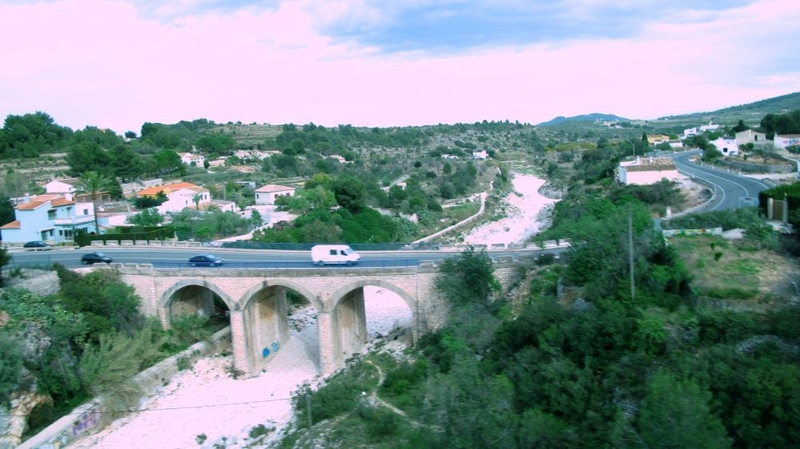 There are also several iconic bridges and viaducts particularly around the Benissa and Gata de Gorgos area, which are well worth keeping an eye out for. Sit by the window on the right side of the train for the best views. 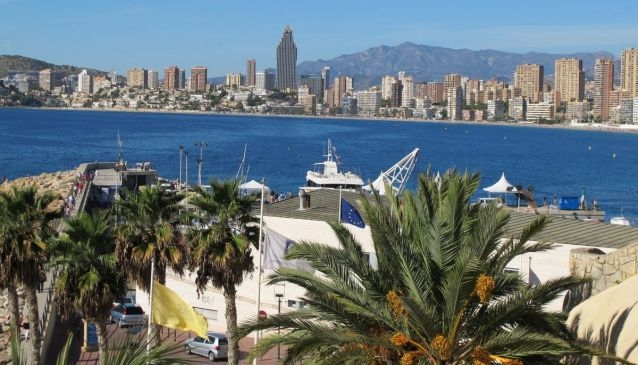 The journey starts at the bustling resort of Benidorm, famous for its lively entertainment, great beaches and skyscrapers which is why it has been dubbed the Spanish Manhattan. From here we head north to Alfaz del Pi, which has a superb church and lovely beach at Albir. Next is Altea, which has a lovely sandy beach with restaurants and cafes along the promenade. 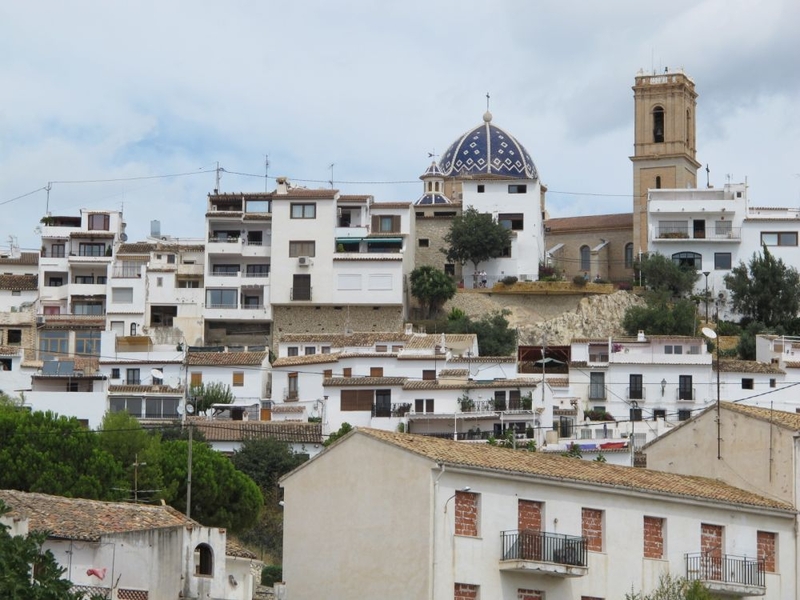 Look to your left and high on the hill is Altea’s picturesque old town with the blue-tiled church dome standing out from the whitewashed buildings. Altea is a popular haunt for artists who love the natural light and the bright blue of the crystal-clear sea. Twenty-five minutes into our journey, we stop at Olla Altea which has a lovely Indian restaurant called Saffron instead of a traditional railway café. 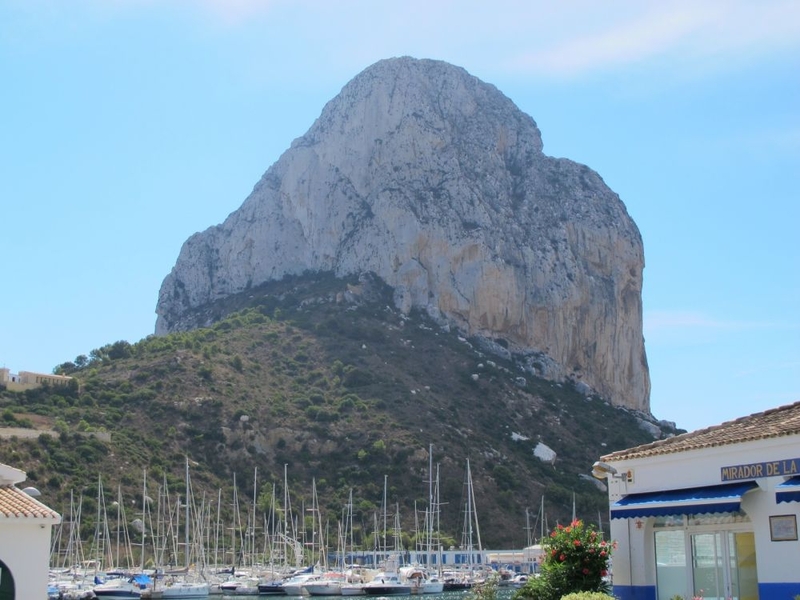 Look towards the sea and the amazing Ifach rock at Calpe dominates the skyline for many kilometres. The massive limestone rock rises to 332 metres and is home to more than 300 types of animals as well as thousands of birds. You will also catch a glimpse of the first Russian Orthodox Church built in Spain with its glistening golden domes. The views of the coast are breathtaking as the train winds its way through the rocky mountains. You can see fishing boats, luxury yachts, sailing boats and cruise liners. The train now stops in the middle of nowhere at Ferrandet, which is a good place to get off if you want to go hiking through the countryside and up the mountains. Now the scenery turns green as the route along the railway track is lined with reeds, trees and cacti. 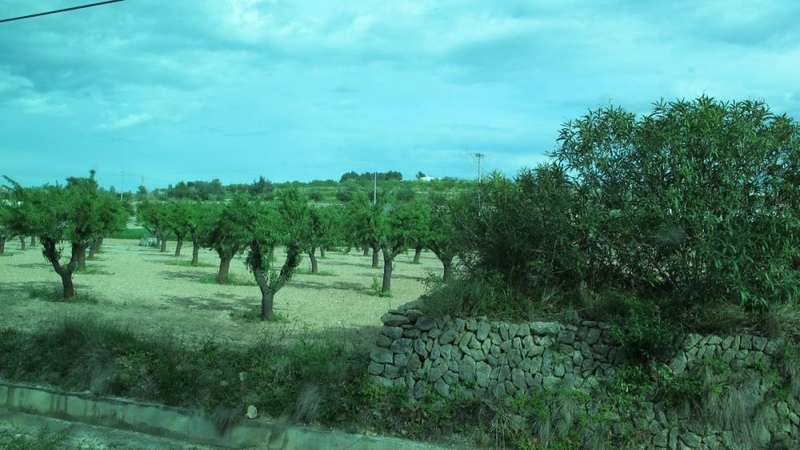 Around Benissa you will notice the land is terraced so it is easier to manage. This is good wine-making country with many vineyards around this spot. Also look out for grazing sheep and goats as well as birds of prey such as hawks in this part of the journey. 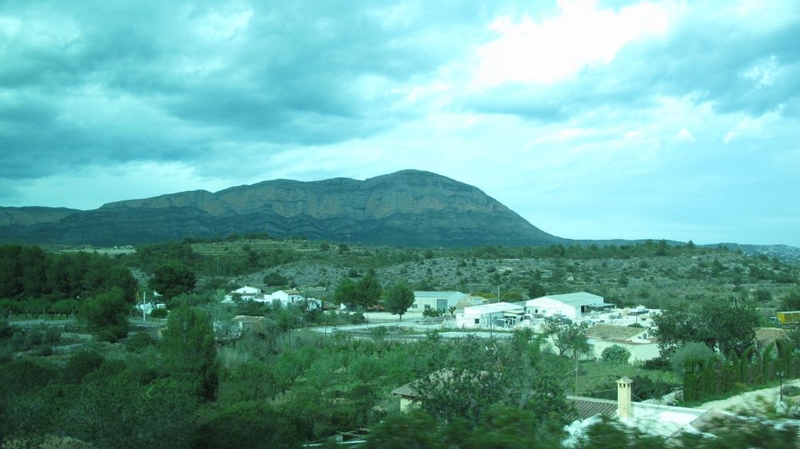 The train continues to weave around the mountains on its way to Teulada, which is a traditional old Spanish town with a find church. 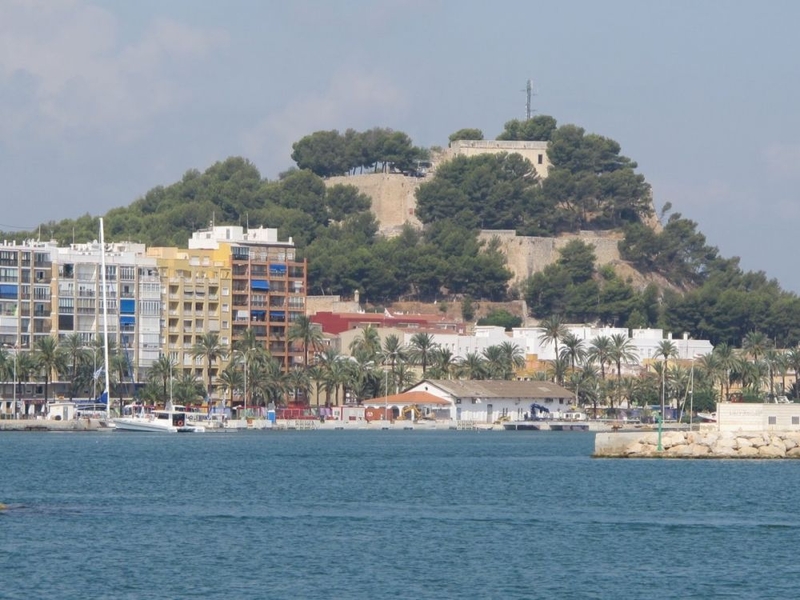 It is handy for Moraira which has many pretty little beaches and a lovely marina. The next main stop is Gata de Gorgos, which is another lovely old traditional Spanish town. Gata is famous for its wicker and basket industry. 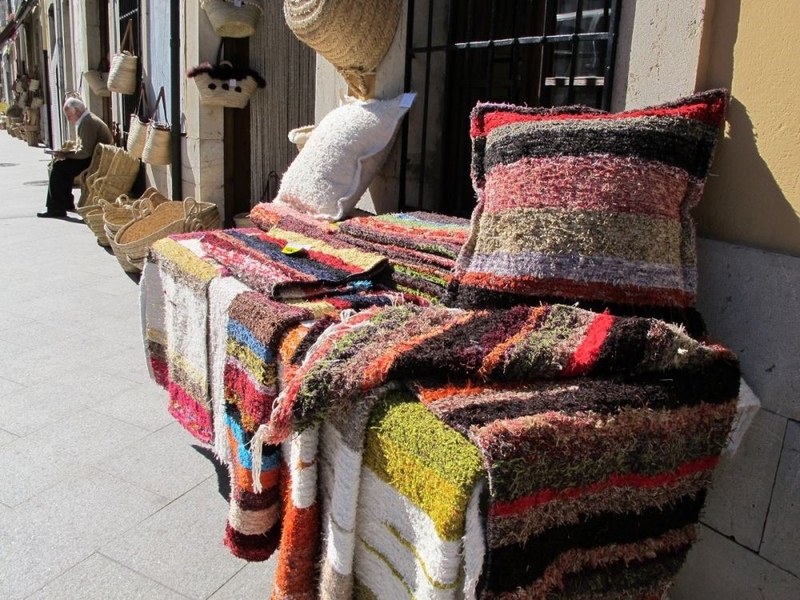 Along the main street, there are many shops selling hand-crafted wicker baskets, chairs and hats. If you have a good head for heights, look out the window on the right-hand side as there are a few impressive sheer drops, bridges and viaducts between Teulada and Gata. We’re on the home straight now as we continue going around the Montgo nature reserve. It’s also known as the elephant because of the mountain’s strange shape. See if you can spot its trunk. After a short ride through farmland and orange groves, the train makes its final stop at Denia, about 70 minutes after setting off from Benidorm. Denia has an impressive castle, hundreds of restaurants and fine, sandy beaches. It is hard to believe that this popular and picturesque train journey was under threat as part of budget cuts and a massive petition was set up to save the train. Last year 735,921 passengers used the line, which was opened between 1914 and 1915. 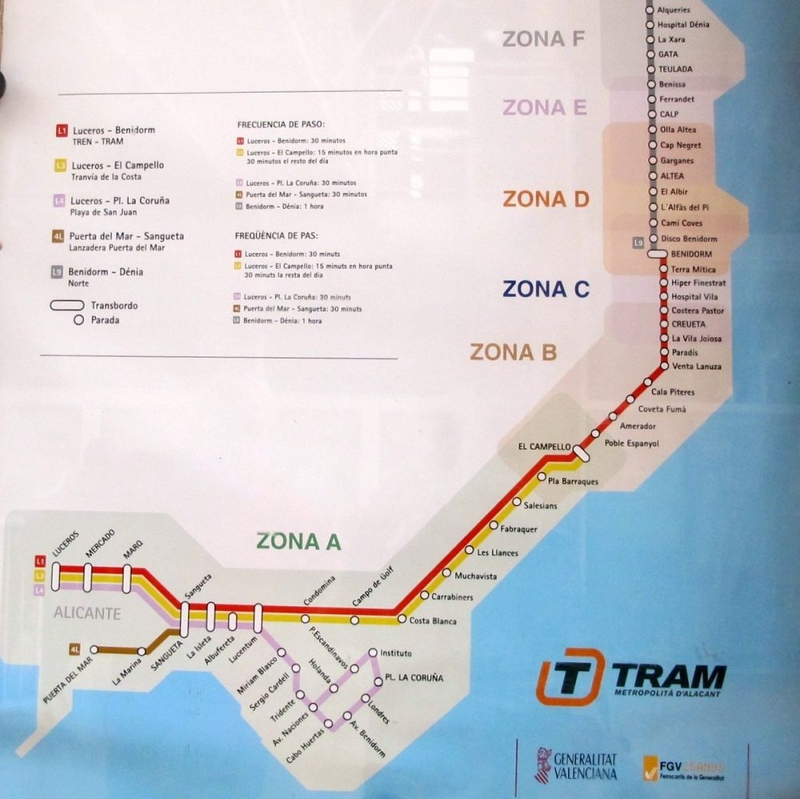 Instead of returning by train, passengers can catch a boat from Denia Port to Altea and then either take the train or the tourist bus back to Benidorm.